CHS54.NET: "My life is measured in coffee spoons." 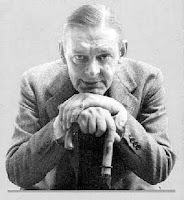 T S Elliot wrote that in 1915 and the reason I know is because it was part of a poem of his that was required reading in some class I took in college. The meaning of that line was whatever the English professor who was teaching the class wanted it to mean. As I recall, my professor had written an entire thesis on that one line. I don't think old T.S. Meant anything more than the fact that it was a convenient way of keeping track of what year and day it was and how much longer he had to wait for his social security check to arrive. But if I were to divide my life up in segments.....I think I could say, my life is measured in old cars. That's mostly the only kind I ever had. 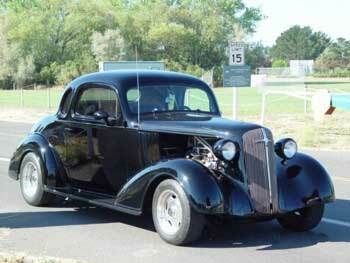 The first one was a 1936 Ford that I had at Central, followed by that Henry J. After that was a two year old 1953 Chevy Bel Air. That car was incredibly common back then. 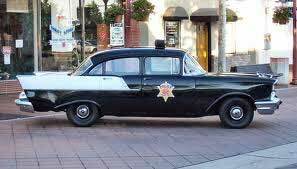 I also discovered that the keys for that car would fit almost any other 53 Bel Air..
That hit me one day as I was walking out of the UNC library and saw someone else driving off in my car. His car, which looked just like mine, was still parked in the lot. I hitched a ride to my job at the radio station and asked on the air for anyone driving around in a 53 Chevy to please look around in the seats to see if they indeed were driving their car.....or mine. And if the contents didn't look familiar it was very likely that they were driving the wrong car....and to meet me at the station and swap. Before long small problems began to show themselves. The most significant one, it turned out, was the speedometer. It stopped working. I tried putting graphite down the cable and several other “home remedies,” but nothing I did helped. I think the heater stopped working around that time too, but for a cash strapped college student like me, as long as the car could still get me from point A to point B, I considered it in Tip Top shape. But driving without a speedometer had it's downside. I racked up two speeding tickets in less that six months, which meant I lost my license for 60 days. I tried, along with my friends at the radio station (WCHL) to make the best of it. We tried turning my experience into a “safe driving” campaign. 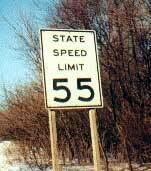 When Cruising, Heed the speed Limit... and stuff like that. But the fact remained that I couldn't legally drive for two months. I was afraid my job at the station might have to come to an end. I was doing the early morning show at the time from 6am til 7, followed by Ty Boyd from 7 til 10. That meant that I had to leave for work no later than 5:30am. Not many people were on the road that early; nevertheless I appealed to my listeners for help. One kind gentleman said that he left for work every morning at 5:15 and went right by where I was living ...and also passed the radio station, so adding a passenger (me) would be no problem. Thanks to his kindness and promptness, my radio career continued uninterrupted. In fact, I was never able to make a more impressive entrance to work than I did in those two months. The kind man who so willingly gave me rides each morning worked for the state. Old radio guys still talk about the DJ....way back in the 50's... who used to be chauffeured to the station each morning by a State trooper in a North Carolina Highway patrol car.